Good news! Damages has been saved from cancellation and there will be a fourth and fifth seasons. Unfortunately, not all of the show’s fans will be able to see the new episodes. 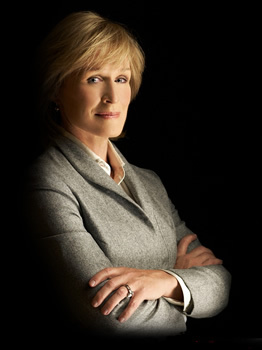 Damages revolves around Patty Hewes (Glenn Close), a tough New York attorney. She takes on tough cases and will do just about anything to make sure her clients come out on top. Prominent castmembers have included Rose Byrne, Tate Donovan, Ted Danson, Zeljko Ivanek, Noah Bean, Anastasia Griffith, and Philip Bosco. The FX series has been declining in the ratings for some time and the third season finale only drew 925,000 viewers. The cable channel said that they couldn’t afford to keep broadcasting the show based on those numbers. They also said they’d be open to some sort of partnership deal if Sony could find another buyer (ala the shared airings of Friday Night Lights between NBC and DirecTV). DirecTV has come to the show’s rescue but is financing new episodes for exclusive airings, in a similar vein to the deal they made for Passions a couple years back. This means that viewers who don’t have DirecTV won’t be able to see the episodes. Will you watch Damages on DirecTV? Under the exclusive deal, DirecTV has ordered 20 new episodes of Damages that will play out over the course of two seasons. They’ll air on DirecTV’s exclusive 101 channel in 2011 and 2012. The satellite provider has also acquired the rights to rerun the first three seasons of Damages. For those without DirecTV, the episodes will surely be released on DVD at some point. What do you think? Are you glad to hear that Damages has been saved? If you don’t already subscribe, would this news make you consider ordering DirecTV? 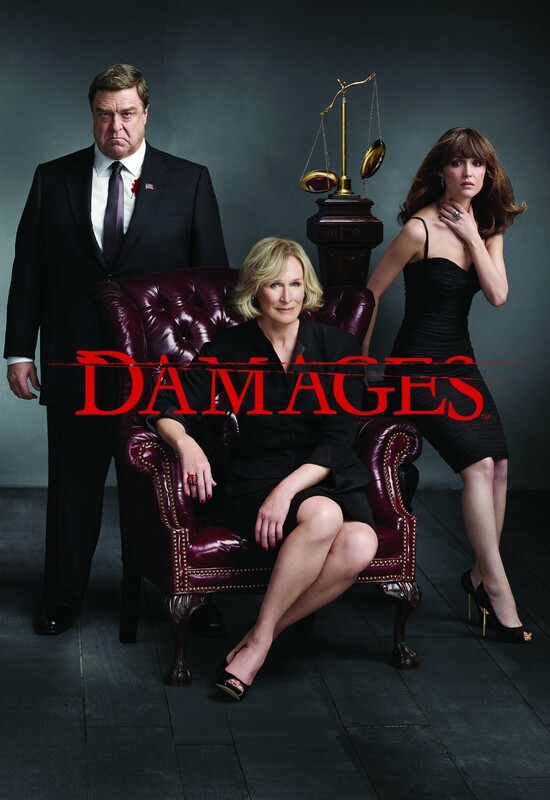 More about: Damages, Damages: canceled or renewed? Damages: Season or Series Finale? What Would Come Next? Damages: Will the FX Series Be Cancelled or Saved? I love Damages and we are currently streaming it. I would not spend my time on my most lonely boring day watching 90% of what is offered out there. I have been watching the series on Netflix. I am addicted, do you know if Netflix will carry the 5th season? And has it been renewed for any additional episodes after the 5th season? I don’t watch courtroom drama’s or any type drama’s on TV, but DAMAGES has changed my mind. I’m addicted. Oh my gosh…please do NOT cancel this series on FX — I am totally addicted. This is the best drama TV series ever that has held my interest. Just when I think there can’t possibly be more twists and turns, it triples. Whoever does the writing … I don’t have words that would describe the creative mind they have. PLEASE CONTINUE WITH THIS SERIES and if you must end it please make the last program a good one…I trust that you won’t disappoint your fans. The actors for the characters are perfect too; right on the bulls eye. Is there going to be more shows in 2013? No, the show ended last summer. OMG!! So upset that Damages is almost done. Season finale starts in 5 days. I have Direct TV thank goodness. Please can some network pick it up!!!! I’m so tired of reality BS TV!!!!! Finally some great actors and they cancel it. Give me something I like. PLEASE!!! I discovered Damages on Netflix and LOVED it! I was excited to hear that it was still in production & planned on watching it on FX. But now that it’s been picked up by Direct TV I’m now disappointed and will have to wait to see if Netflix receives the additional seasons…. I’m very happy – that Damages is coming back and that I have Direct TV!! When will Netflix get it? Screw the networks with their over abundance of advertisements (which I MUTE anyway). I love Damages. It is just so long in between seasons before it comes on again. Now becasue I don’t have Direct tv I have to wait for it to come out on video. It is so good. I wish it was back on Fx. It’s always about money isn’t it. Damages is one of my favorite shows. My husband and I make our night on Weds so we can stay home and watch Damages. When does the new seasons start? I love damages. It is aa very creative thriller.I hope is very far from reality. Iwatch it via netflex. Damages is an amazing show one of my favorite. Never saw it on FX but I’m very glad Direct TV picked it up. Looking forward to season 5.